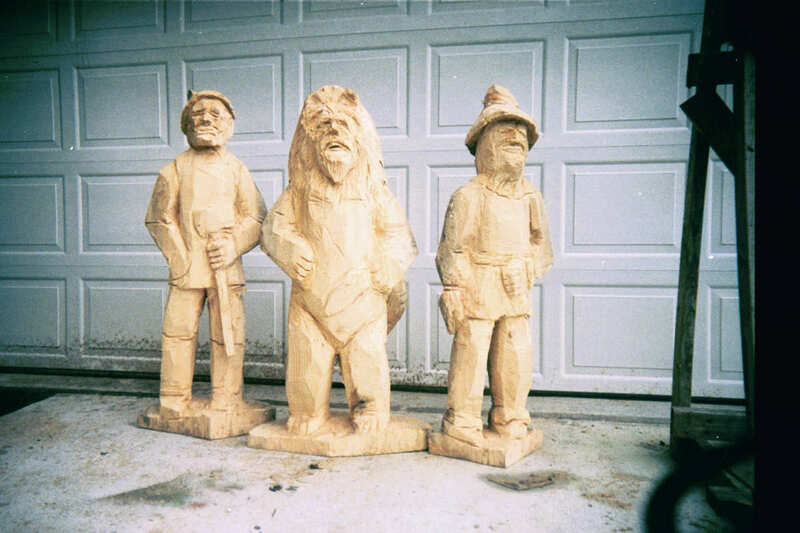 "Bob Eigenrauch, Master Chainsaw Carver"
Stan and Eric met Bob Eigenrauch in the late 1980's when he joined the Central Jersey Wood Carvers. 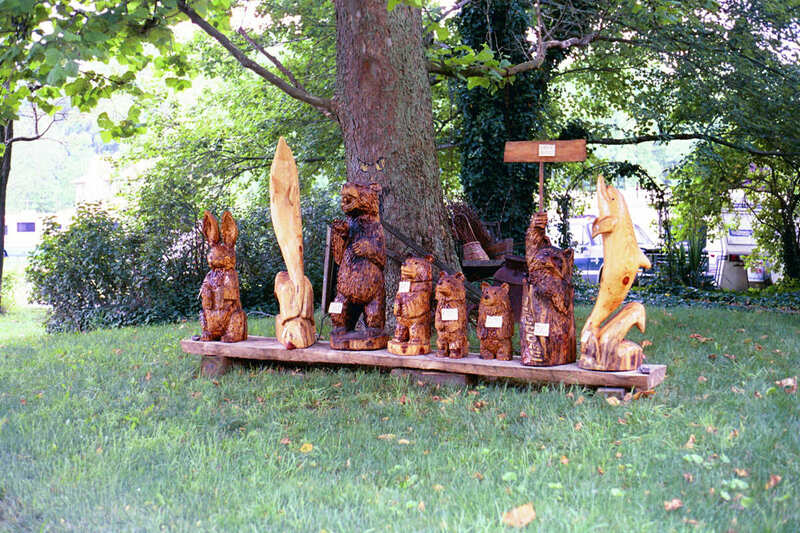 Bob was in the Tree service business and wanted to learn basic carving so he could use the vast store of wood he had access to. Stan invited him to his shop, Artisans of the Valley, and got him started. 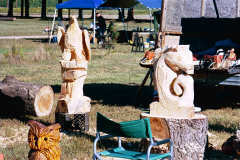 Bob's goal was to become a chain saw carver, and before long he was brining early attempts around to the shop for critiquing. Over several years, Stanley watched him slowly improve by practice, and through taking anatomy courses in both the human figure and wild life forms. 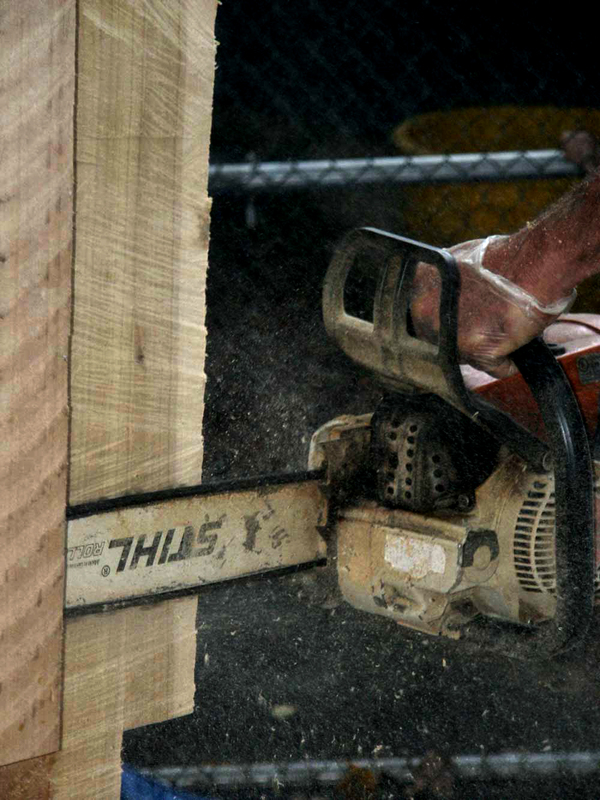 Bob quickly joined the ranks of accomplished chainsaw carvers. 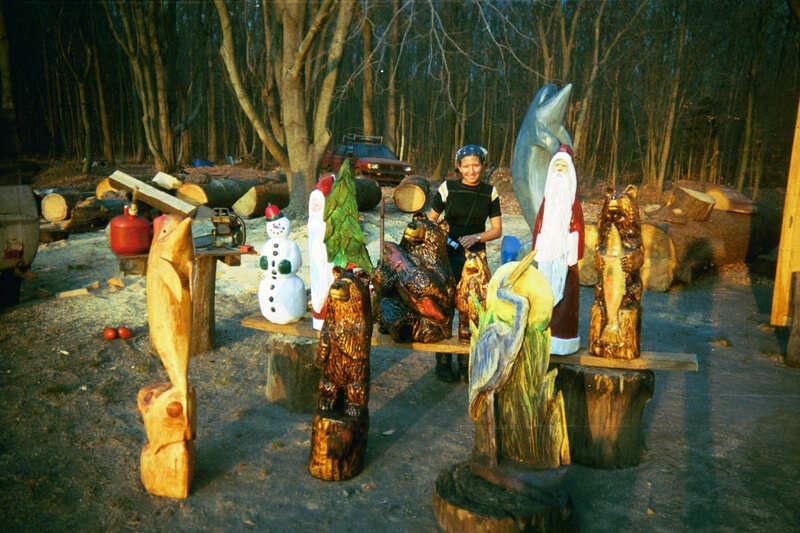 Schedules being what they are, Stanley and Bob lost contact for almost 15 years, until sometime towards the end of 2005 when not a half mile from Artisans shop (Stanley's home) he saw a line of chain saw carvings on the road side in front of a tree service business. Being a high traffic area and a 50-mile hour speed zone he could catch only a quick view of them and thinking to himself "I have to stop and give them a close look." 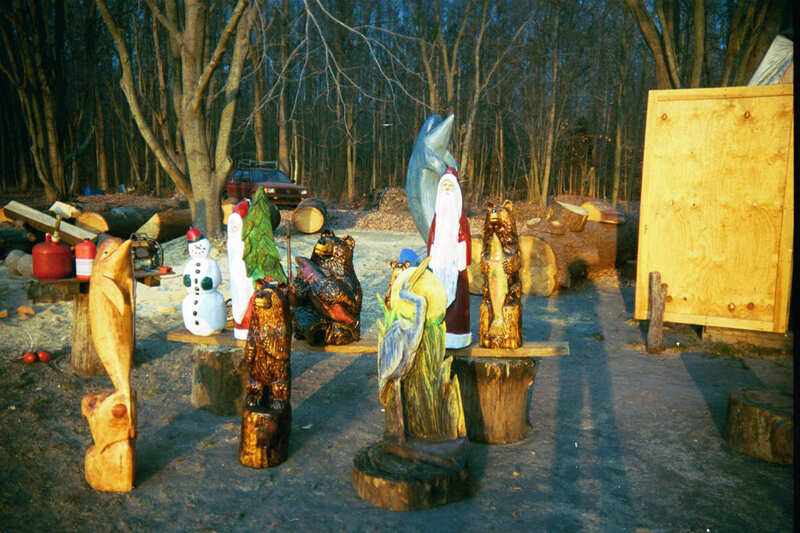 Well three months went by before Stan finally stopped to inspect the carvings consisting of an eagle, a mariner, and three bears. There was a coffee can by the carvings side filled with business cards and I took one and low and behold it was an old friend, Bob Eigenrauch, and it was quite obvious he was an accomplished professional. 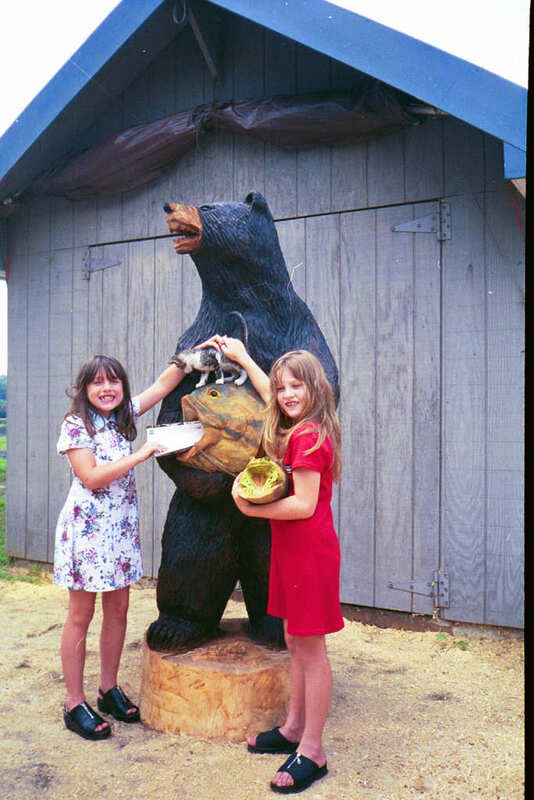 These five roadside examples turned out to be the tip of an extensive portfolio. 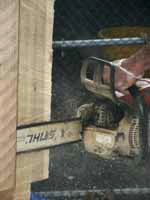 Stan felt very good to think he had something to do with getting him started. Stan contacted Bob, letting him know what excellent work he was doing. 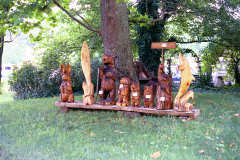 The two caught up, and time had resulted in Bob retiring from the tree climbing business become a full time carver. Bob dropped by Artisan's shop, along with his portfolio of over one hundred fine examples of his work. 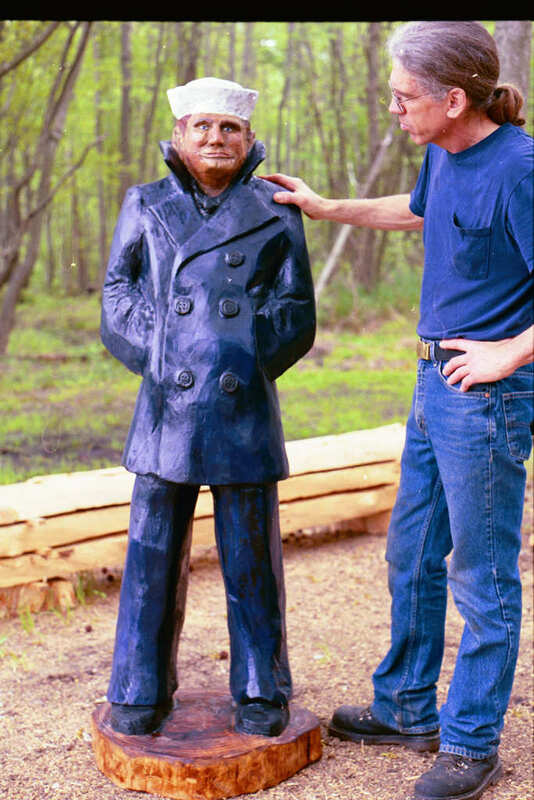 When Bob expressed a desire to find new methods to promote his carvings, Stan invited him to join Artisans as a specialist carver. 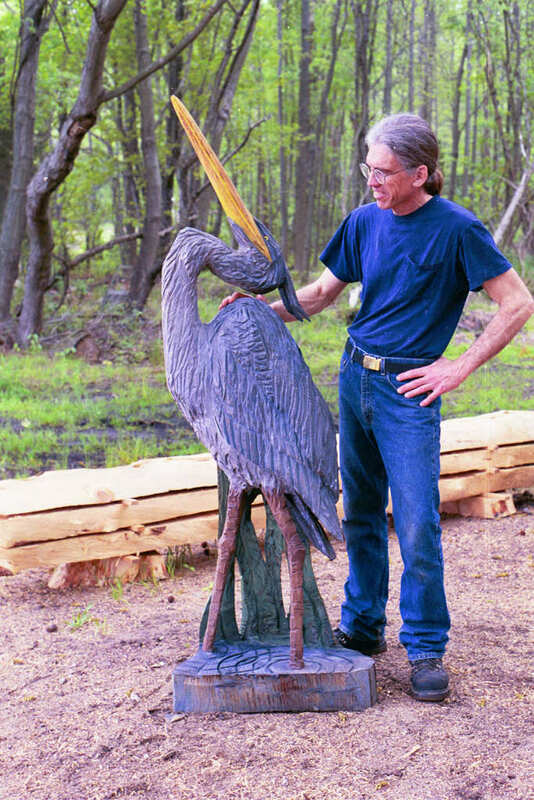 Bob's unique style and ability to produce consistent quality in artistic sculpture in scale and life size presentations using the power of a chainsaw and a box of detailing equipment will bring a new dimension to Artisans style of carving and sculpture. The student returns to the teacher, and now Stanley will put his new carving saw to work picking up tricks of the trade within a new niche of woodworking. 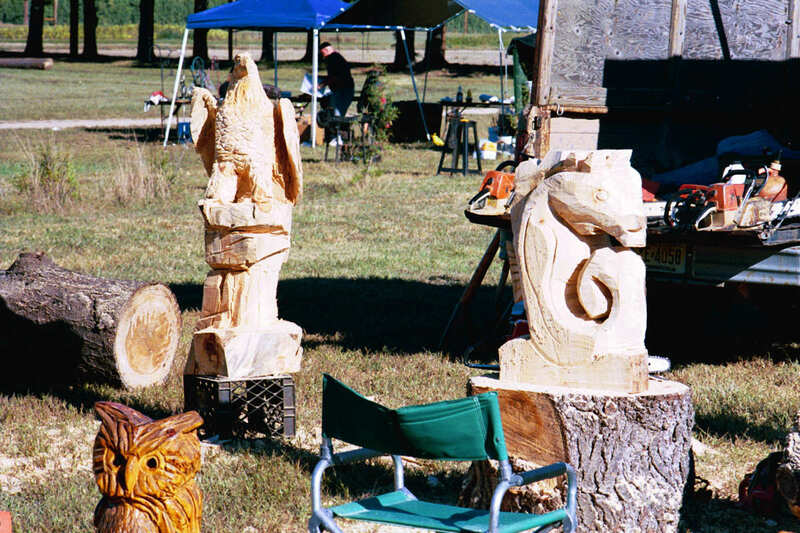 Artisans is now featuring a full gallery of chainsaw carvings, featuring Bob Eigenrauch as the primary artist. Galleries include Figures, Wildlife, Fish, Horses, Birds, Totems & Tikis, Signs, and Mailboxes. 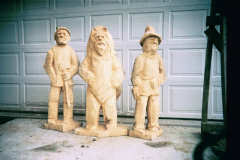 Artisans will be accepting commissions for carvings similar to those shown in our galleries, as well as unique and original commissions.